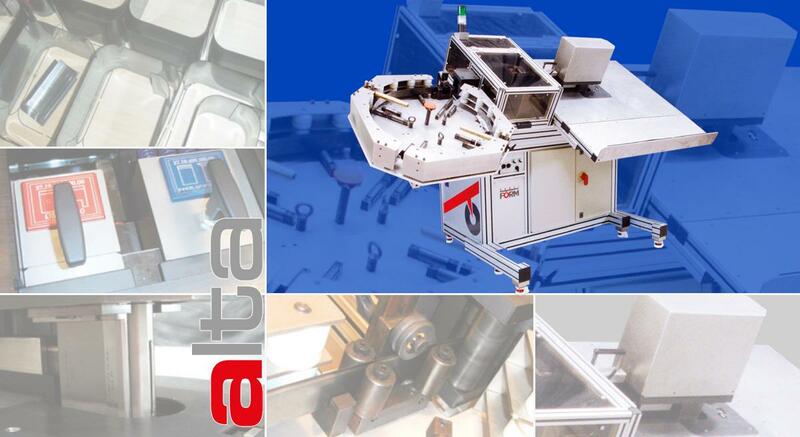 More than 15 years of experience in the production of high range automatic bending equipment is now used for a specialised machine for high rule: Alta can work rules 3 and 4 Pt from 30,00 mm to 100,00 mm (1,18’’ ~ 4’’) and 6 Pt rule from 30,00 mm to 60,00 mm (1,18’’ ~ 2.36’’). Equipped with an extremely productive multifunction cartridge system, Alta can perform all the operations needed for production of high rule tools. The newly developed bending system is automatically adjusting at the right height, positioning of the bends is extremely accurate. 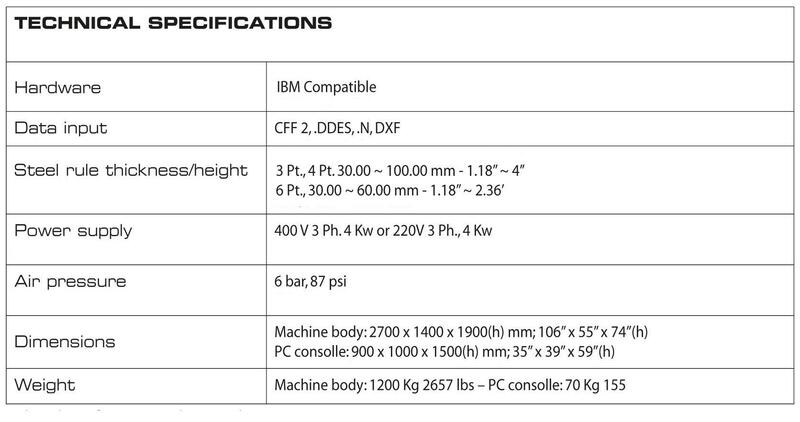 As standard all the machines of the SDDS (Serviform Digital Diemaking System) and also Alta are driven by a newly developed software based upon Windows XP. This software has been especially developed for the high rule diemaking industry. ■ Extreme flexibility On request Alta can be equipped with special cartridges which can produce holes or slots in the steel rule body.